Join us for some great fun and celebrate our green earth. A very special day is coming up this April: Earth Day. In recognition of this occasion, the MU Garden Club and the MU Sustainability Department are hosting an Earth Day celebration on Marshall University’s campus on April 19th, from 11 a.m. to 2 p.m.
A wild variety of workshops, presenters, and participants will fill this event with green and sustainable learning opportunities. Visitors both young and old will be entertained and engaged. 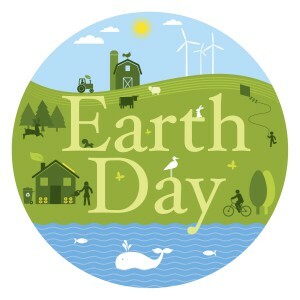 Come celebrate the splendor, beauty and diversity of our planet, and help spread the environmental message of Earth Day. We invite local organizations, groups and businesses to join us. Share your commitment to our planet, and promote real action that will create a stronger, healthier, happier community. Our event would be greatly enriched by your participation. Please RSVP by Friday, April 7th. You can register via the below form. Set-up is at 9 a.m. All participating organizations should plan on setting up at 9 a.m., distributing information and/or providing educational activities from 11 a.m.-2 p.m., then tearing down after 2 p.m.
Click Here for pictures from Earth Day 2016! Click Here for pictures from Earth Day 2015!